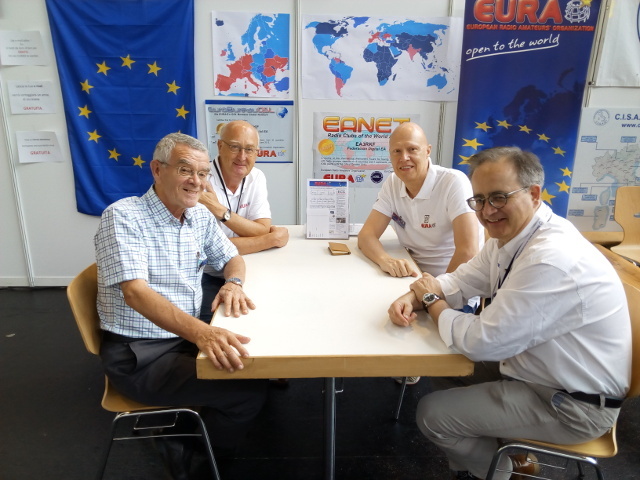 If you received a notice by email that you have a QSL in EuroBureauQSL, you can get it by simply sending a SASE to the postal address of the entry point in your country, which will forward by return mail to you. Have a look at its website (link below), if that entry point has special conditions for members or supporters, perhaps you might be interested in. Seize the shipping of your SASE to send your replying QSL to the other ham. otherwise send it to the entry point in the other ham's country. You needn't to include anything else than your QSL alone (no SAE, no GS, no IRC). If you have more than one QSL to different OMs/YLs, even in different countries, you can send them all together to one of these entry points and they will be distributed accordingly.